I think I saw this movie way way back in 87. Parts of it I remember and others not so much so I believe I had never seen it in it's entirety. As a huge Rob Reiner fan I was excited to sit and watch the whole thing from beginning to end. We start off with Peter Falk reading his sick grandson Fred Savage a story that has been passed down from generation to generation. A classic love story filled with adventure and excitement as Westley searches for his childhood love Buttercup. He left her on a farm when they were much younger to find a way to make his fortune and come back to marry her. She hears his ship was attacked and believes him dead and is heartbroken. 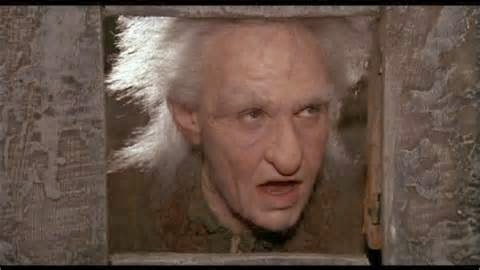 Prince Humperdink, heir to the throne of Florin forces Princess Buttercup to be his bride but before they could wed she is kidnapped. She is saved by a black masked man who she believes killed her dear Westley. She send him down a hill but realizes he is her love and jumps down the hill herself. 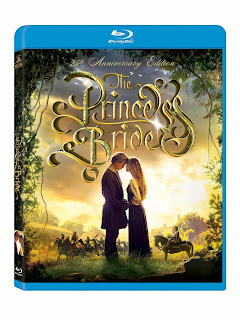 Westley and the Princess must fight all kinds of obstacles to be together but true love prevails. The message; true love never dies. What I enjoyed about the movie is how I could watch it with my kids. It's a love story but there is adventure, sword fighting, giants, bad guys, quicksand, weird creatures, comedy, and more. It is a fun movie full of action and fantasy. Disclaimer: I received a copy for my honest opinion as a Fox Home Entertainment Insider.